This will be our brooder. Donna had previously used it for a Guinnea Pig she had several years ago. It is approximately 39" long x 20" wide and 18" high with the pan being 7" of the total height. You can also see we hit the local Tractor Supply for a feeder and waterer. I built the little dimmer box to control the power going to the 250 watt red heat lamp and we'll monitor the temp with the remote reading thermometer. As you can see we plan on using CareFresh for litter but will be starting them with paper towels covering the litter for the first few days. Right now we have 12 chicks shipping from Ideal Poultry on Feb 18. 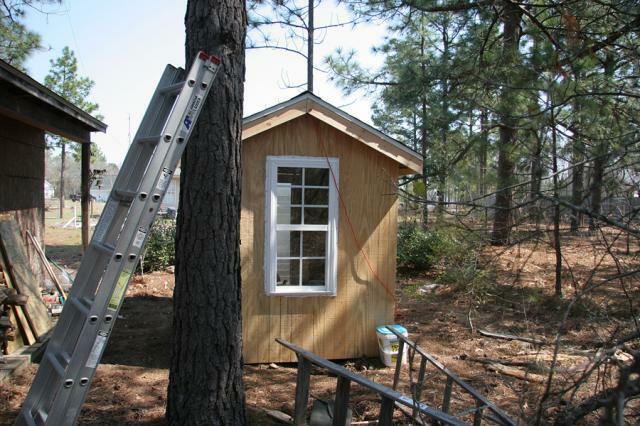 We started work on the coop this week but have only been able to put a few hours in between the time I get home from work and when it gets dark. 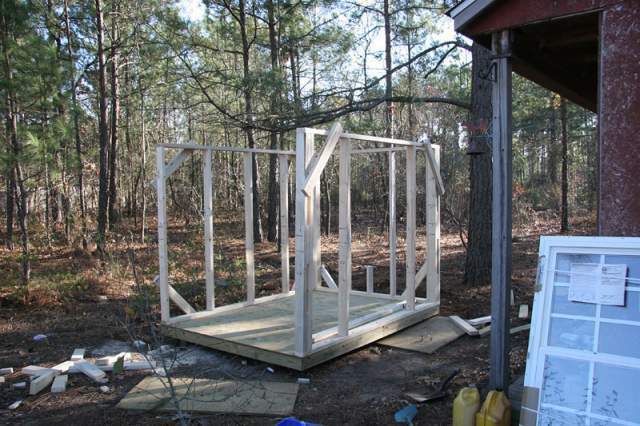 Basically it will be a 6' x 8' shed type structure built on pressure treated 4x4 skids. These types of buildings are pretty easy to build and I have some experience with them but I will try to document the entire build and plans for others who may not have tackled something like this before. 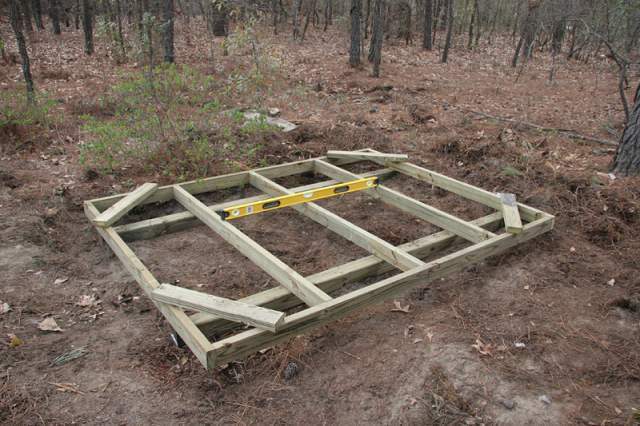 This is the basic floor frame sitting on the 4x4 skids. 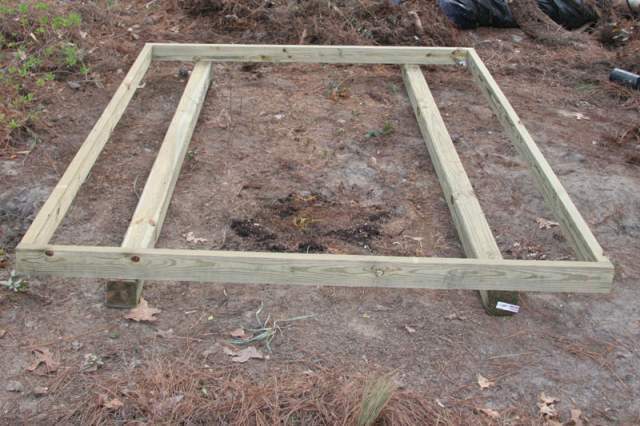 Floor framing members are 2x4 pressure treated (PT) lumber. 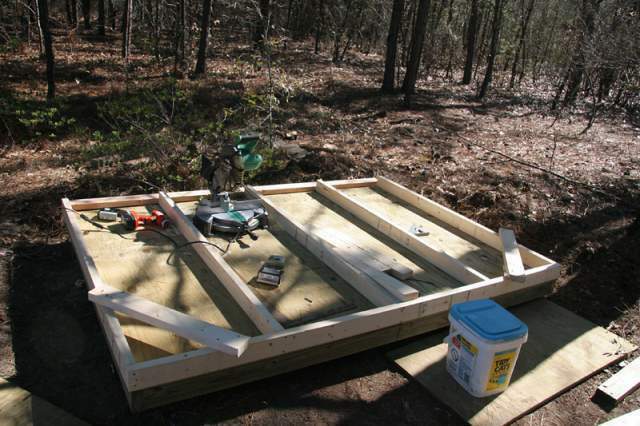 Here is the floor fully framed with joists on 24" centers. 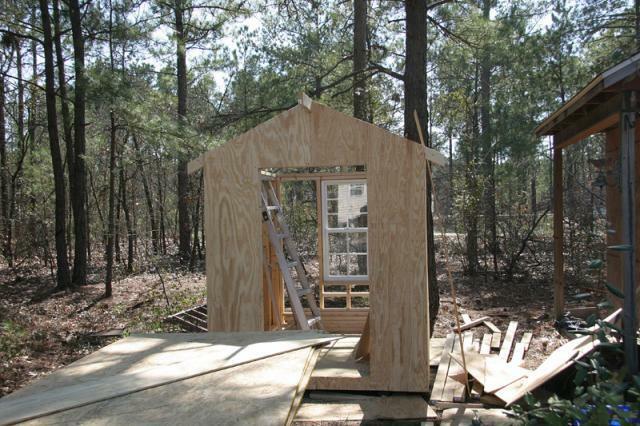 The critical items here are making sure that the joist that supports the seam where the plywood sheets meet is in the correct place so that the edge of the sheets is centered and that the frame is square before you add the plywood. Here the temporary diagonal braces were screwed down to hold the frame square while the rest of the joists were added. 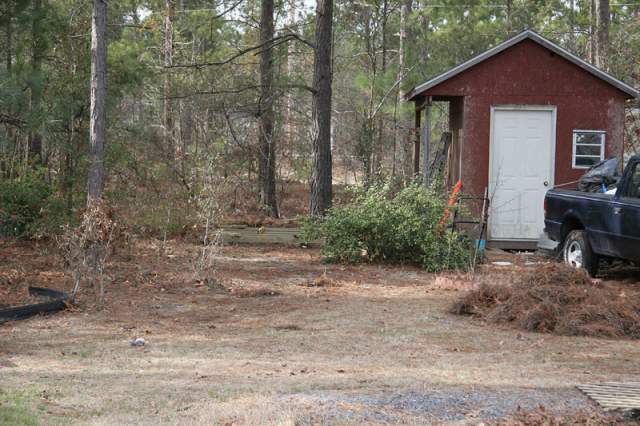 Here you can barely make out how we layed out the coop to be parallell with the shed I built some 10 years ago. We plan on building a generous sized run to the left of the coop. 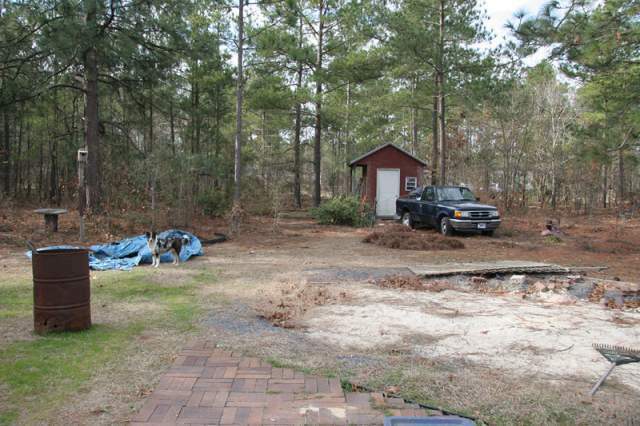 This is a little wider view showing the backyard from our back porch. With around an acre out back we are hoping to let the birds free range a bit when we are around. You can also see our dog Remie who is part Aussie so we are hoping her herding instincts will make her chicken friendly. Thom has been down since Feb 11 when he had knee surgery so not much has been going on construction wise, but being layed up has given him the chance to work on some plans in AutoCad. 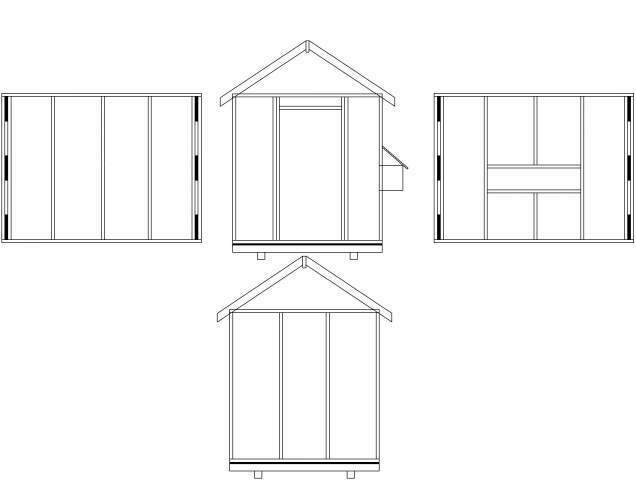 Here is what the basic building structure will look like as well as a link to a PDF version. Doesn't show the window or cupola yet either. Thom has still been layed up from knee surgery but we did find time to hit the local Habitat For Humanity RE-Store to look for coop supplies and picked up a door and window pretty cheap. 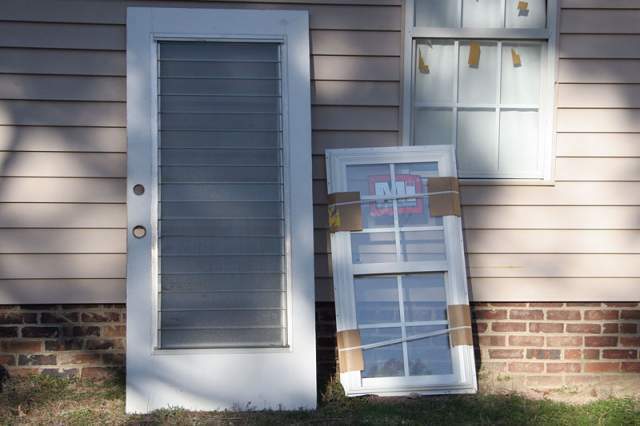 The door features crank out jalousie type windows so it should make for good ventilation during our hot South Carolina summers. 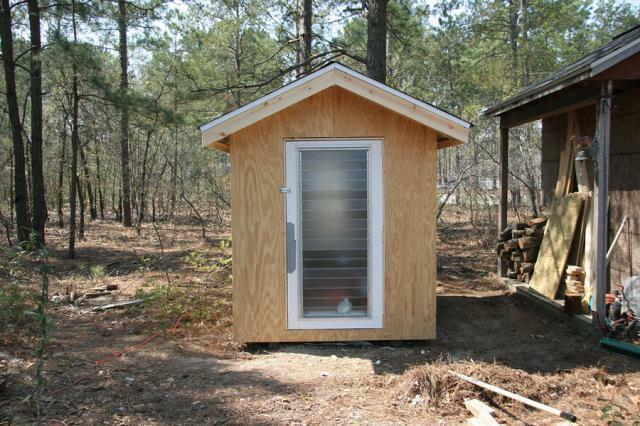 If it is too drafty in the winter I can put a piece of plexiglass over the inside like I used to do when I lived up North and had one of these on my back porch. The window I think is mismatch because the top has 6 panes but the bottom has 4. I don't think the ladies will mind. Thom's knee is healing up and he was able to get outside to do some more work. Here you can see that once you have the floor built you then have a handy work surface to start building up the walls. Throughout the construction screws are being used instead of nails. 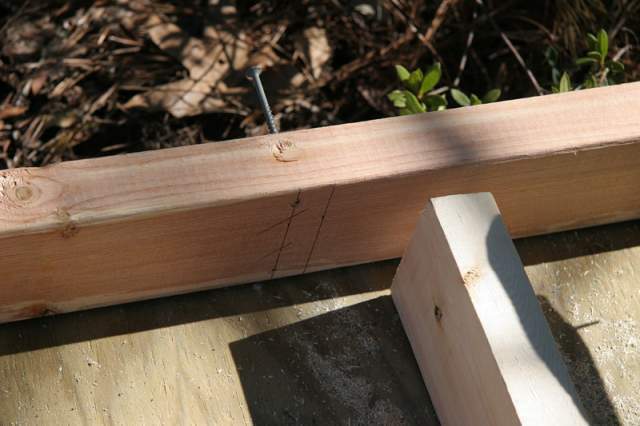 This makes for tight construction and allows you to precisely align the boards when you put them together. Pre-drilling helps keeping the studs from splitting and the alignment marks help to make sure you build straight and level. 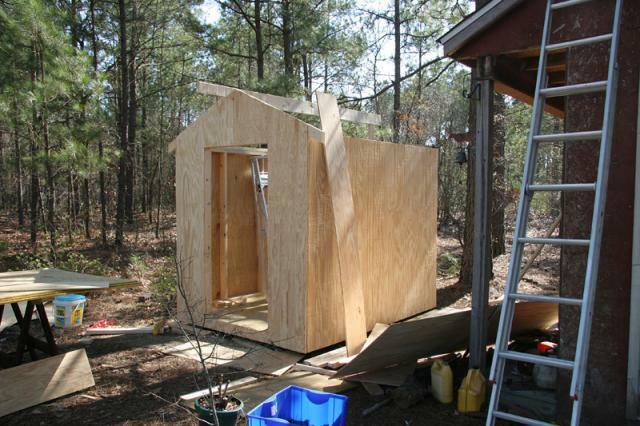 Here is the back and two side walls in position on the finished floor. Thom's knee is healing pretty good so he finally managed to make some more progress. I know I missed documenting some steps be we got in a hurry to finish things up. Here is the reason why we hurried up on the build. 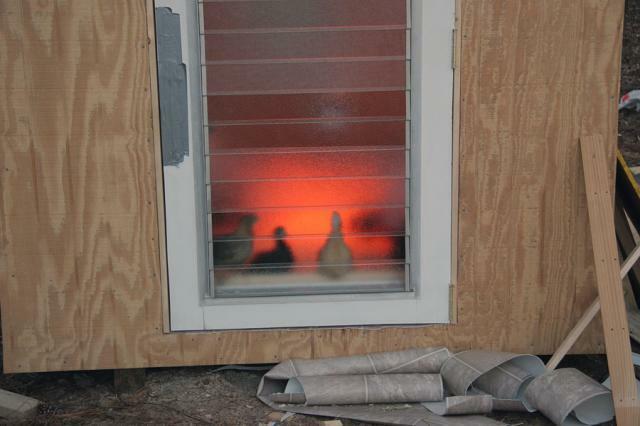 Our girls were just getting too big for the brooder so we needed to move them to the coop. This was taken on their second evening in the big house and were just two day shy of 5 weeks. Love the door. 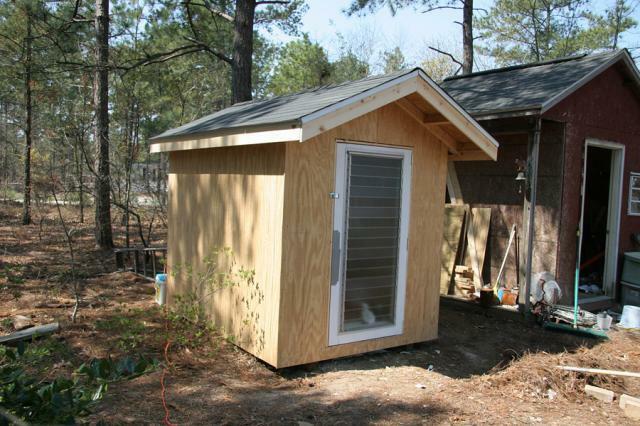 Are you planning to build roosts and a chicken door? Great planning. Overall this article was detailed and had plenty of pictures. I realize that towards the end your build was rushed ( been there, done that). It would be nice to see updates as you added roosts and nesting boxes to the design. 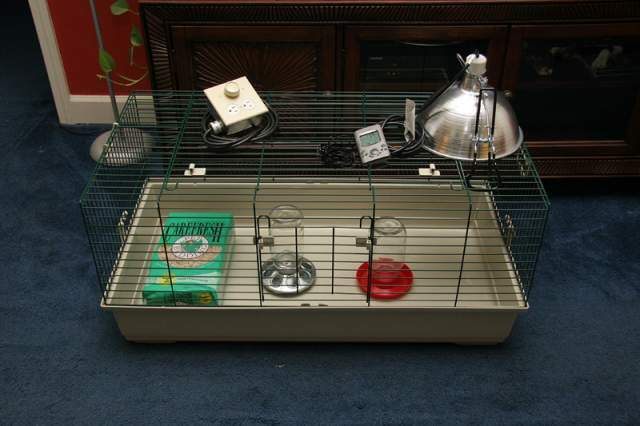 It would also be nice to see how your chicks are utilizing the space. 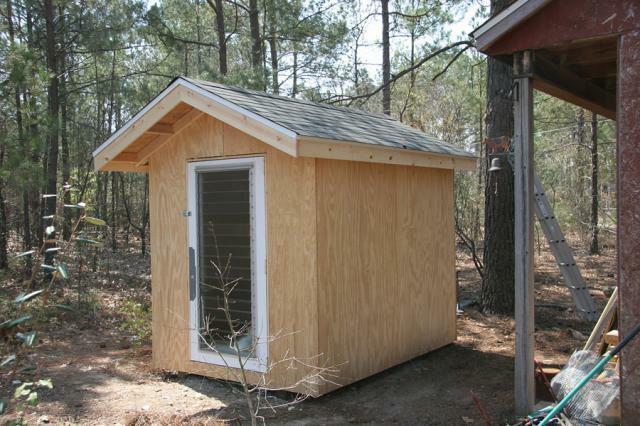 Any tips or changes you would have made now that the coop is used regularly? 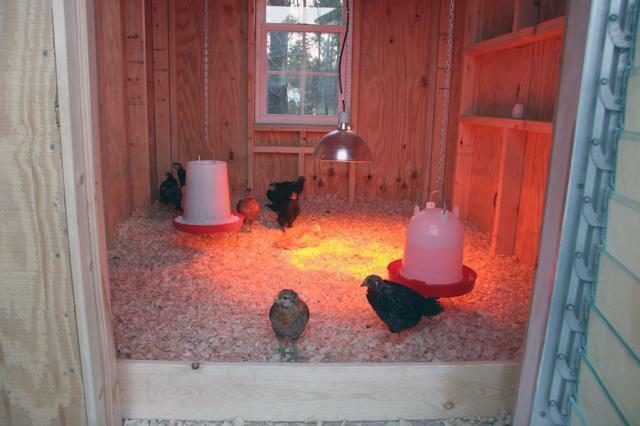 Have you added any roosting spots inside your coop? I'd like to see if you did.